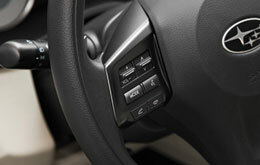 Van Subaru your source for 2013 Impreza research and reviews. There is a reason Van Subaru is the stellar Subaru retailer in Kansas City. We provide you with Impreza reviews by the best writers in Kansas City. Subaru Impreza information you can have faith in on to make intelligent decisions is right here - each passage is filled with [helpful data and specs - all at your fingertips. 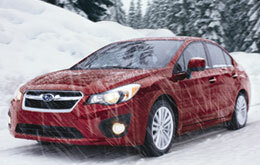 Does the Impreza have what it takes to be your next Subaru? Continue reading and find out! Comparing the 2013 Subaru Impreza alongside against vehicles like the 2013 Ford Focus, Chevrolet Cruze, Hyundai Elantra, Honda Civic and the Volkswagen Jetta, and you will realize that the 2013 Impreza transcends the competition in various areas. Look through our bullets to see why! Unlike conglomerate auto centers, our Kansas City car repair facility offers genuine OEM parts, wonderful Subaru trained technicians and a generous warranty for all services. We're also conveniently located near many well-known adjacent cities. Van Subaru's auto service team will help keep your Subaru Impreza in outstanding form. We will call the shots on a chore as effortless as an oil change, or complete more complicated auto repairs and service like timing belt replacements, strut and shock repairs and Subaru transmission rebuilds. Van Subaru is your choice in Kansas City for fast, professional Subaru Impreza repairs and regularly scheduled maintenance. Click under this text to view coupons with big savings!